We’re soon to be greeted with the warmth of the Spring Festival, also known as Lunar New Year to many. Like that, another twelve month cycle has passed and it’s already time to gather with family again and give your blessings to your elders. For those that don’t celebrate Lunar New Year, we also saw the many festivities of the new Georgian calendar year last month. With recounting the days of 2017, I’m also recounting the many dramas that I did not finish. But with my expectations for some of these upcoming releases and the days drawing closer for officialised air dates, I become more hopeful that this year will be different. 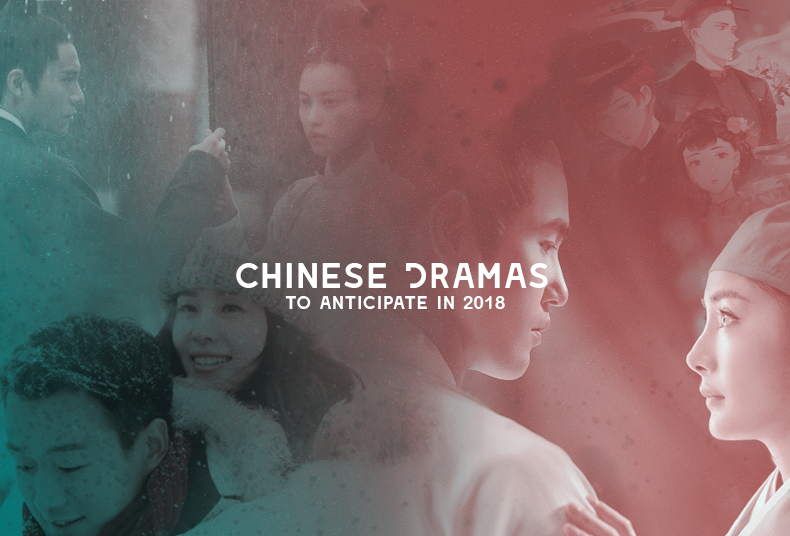 These are the Chinese dramas I’m anticipating for 2018. After being falsely accused of a crime, Feng Zhiwei (Ni Ni), the illegitimate daughter of the Qiu Clan finds herself banished with nowhere to go. With survival at stake, she cross dresses as a man, joining the prestigious Qing Ming Academy, where she meets Ning Yi (Chen Kun); the calculating and ambitious sixth prince, who hides behind a carefree façade. Over the last decade, Ning Yi has established a secret information network led by the academy’s head tutor. He awaits the chance to strike down the corrupt and duplicitous court officials that placed against the false accusations on his deceased older brother. The pair start off as political opponents, but soon develop a friendship that blossoms into love. However, behind this romance, there lies separate agendas, they each must fulfil. After dedicating her youth in service of the country, Zhi Wei amazes the world with her talent and knowledge, becoming a successful politician. Upon finding out that she is the only surviving royalty of a fallen kingdom, she is manipulated into believing that the current kingdom has been established from the corpses of her kin. Blinded by vengeance, her route of revenge, forces her to not only go against her establishments, but also against Ning Yi. Adapted from Tian Xia Gui Yuan’s Huang Quan, this series first caught my attention when the rumoured casting was Liu Shi Shi, Chen Kun, Yuan Hong and Yang Yang. I believed this was more than wishful thinking, especially in regards to the casting of the male leads, which it was. When Chen Kun’s unexpected confirmation came along, this heroine centric plot had already been heavily altered and rewritten to highlight the importance of the male lead instead. Along came the falling of Liu Shi Shi’s casting, but Ni Ni’s confirmation came as a pleasant surprise. This series starts the list as it is my most anticipated television show of 2018. Revenge plots are common in the industry; however, they continue to piqué my interest. The stills and trailers released, also show very intricate details in costumes and sets. Furthermore, the combination of these two movie stars and Yuan Hong, who I can attest to being good actors, is just the cherry on top. Born from a divine lotus petal, Meng Fu Yao (Yang Mi) has been the disciple of the Xuan Yuan Sect since young. However, she is despised for her lack of talent in the art of cultivation, until she happens to master a powerful set of martial arts by coincidence. With her remarkable improvements she is tasked with the mission to collect the secret talisman of the five kingdoms, which will enable her entrance to the sacred land of the Firmament. Joined by several admirers, including the Crown Prince of Wu Ji (Ethan Ruan), Fu Yao must overcome political battles and power plays to uncover a conspiracy surrounding the Firmament. Legend of Fu Yao is adapted from another Tian Xia Gui Yuan novel, titled Empress Fu Yao. 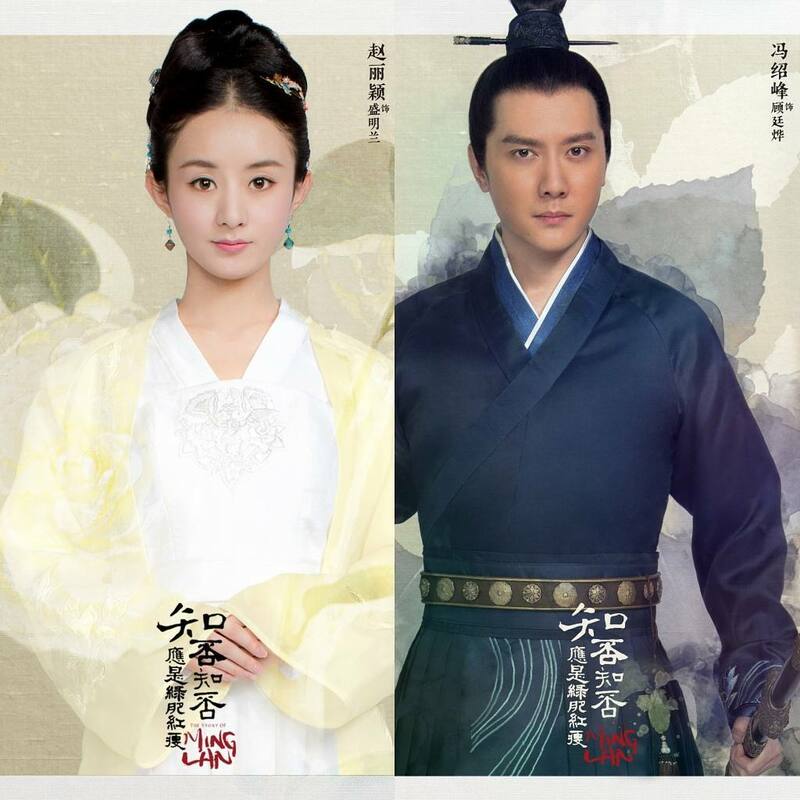 It is Yang Mi’s first Xianxia drama following the success of Three Worlds Three Lives, Ten Miles of Peach Blossoms. Although this series sounds like another every man falls in love with me situation, I’m still intrigued. Both Yang Mi and Ethan Ruan are figures that bring upon senses of nostalgia for times so far apart, deriving upon a confused walk down memory lane. Facing the disgrace of the Ulanara clan, after Empress Yixiu has fallen out of Yongzheng’s favour, Yixiu leaves the clan in her niece, Ruyi’s (Zhou Xun) care. Granted to Qianlong (Wallace Huo), before his succession to the throne, Ruyi falls in love with him at first sight. Learning the politics of the harem, Ruyi overcomes the set back of her family’s reputation and steadily rises in ranks to become Qianlong’s second Empress. Although she manages to overcome multiple accusations and successfully proves her innocence, her relationship with the emperor is unable to be mended. With love, trust and power gradually disappearing, she eventually becomes disillusioned with her husband and the harsh reality of life in the Palace. The highly anticipated sequel to Legend of Zhen Huan, Ruyi’s Royal Love in the Palace is also a novel adaption penned by Liu Lian Zi. Although it was originally intended to air last year, it has faced quite some trouble confirming an air date. It’s known that SARFT has become increasingly strict with historical accuracy this year. With the many mysteries that revolve around Ruyi’s later disfavour, here’s to hoping this series will see the light. Lu Man Sheng (Liu Yi Fei) , the owner of a scents store known as Southern Mist House, has made it her mission to solve the complications in her client’s hearts. The scents she sells has the magical ability to heal the customer’s mind or allow them to face their problems with ease. Along comes a patriotic young man, Ye Shen (Jing Bo Ran), who also seems to possess a mysterious supernatural power. 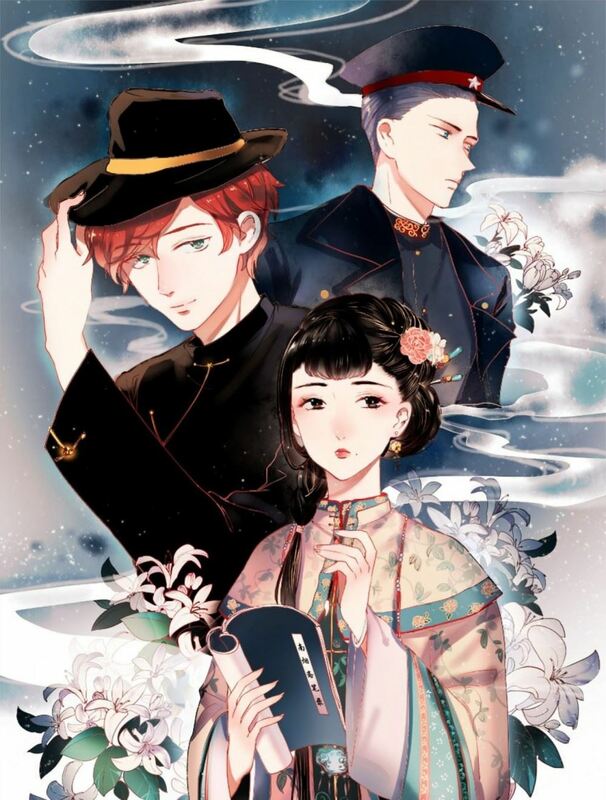 Based on the Chinese manhua of the same name, illustrated by Ke Xiao Sha, Records of the Southern Mist House, is set during the early republican era. It is Liu Yi Fei’s long-awaited return to the small screen; ten years after the highly successful Return of the Condor Heroes. With the addition of the incredibly charming Jing Bo Ran, I like many others, couldn’t be more excited to see the end results. After the Yongle Emperor ordered the execution of the entire Sun family, the eldest daughter, Sun Ruo Wei (Tang Wei) manages to only escape death through being adopted by Sun Zhong. 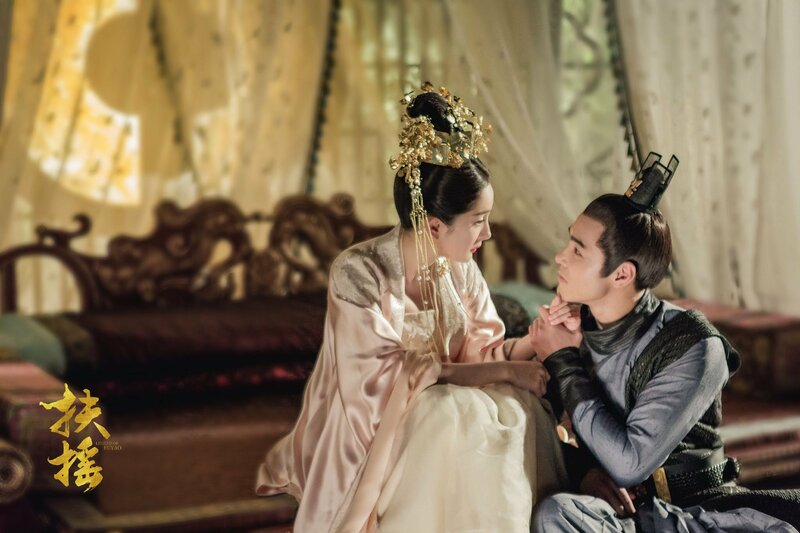 By chance, she becomes a concubine in the East Palace, to the crown prince, Zhu Zhan Ji (Zhu Ya Wen), as she continues to investigate the story behind her family’s case. After witnessing the sinister battles of the court and how the civilians have come to suffer from this, Ruo Wei’s mind gradually matures. Along the way she makes the decision to abandon her personal hatred for the country’s tranquilly and peace. Touched by the kind-hearted Zhu Zhan Ji, she aids his ascend to the throne and becomes his virtuous empress. This series, again is adapted from a novel, written by Lian Jing Zhu Yi, titled 六朝纪事(Chronicles of the Six Dynasties). It marks Tang Wei’s return to the small screen, after having filmed movies exclusively for the last twelve years. After catching her finance having an affair, the busy career woman with a passion for designing drones, Nan Qiao (Bai Bai He) finds herself short of one important business partner. Desperate to make amends to her situation, she meets potential investors at a bar, owned by an ex-soldier named Shi Yue (William Chan). With the belief that Nan Qiao is the reason behind his exile from the military, Shi Yue purposely approaches her to obtain revenge. When he finds himself falling in love with her instead, he no longer has the choice to turn back. Based on the novel of the same name by Xiao Hu Ru Wei, this is the first modern drama on this list. Can I be anymore predictable with my preference for revenge plots? 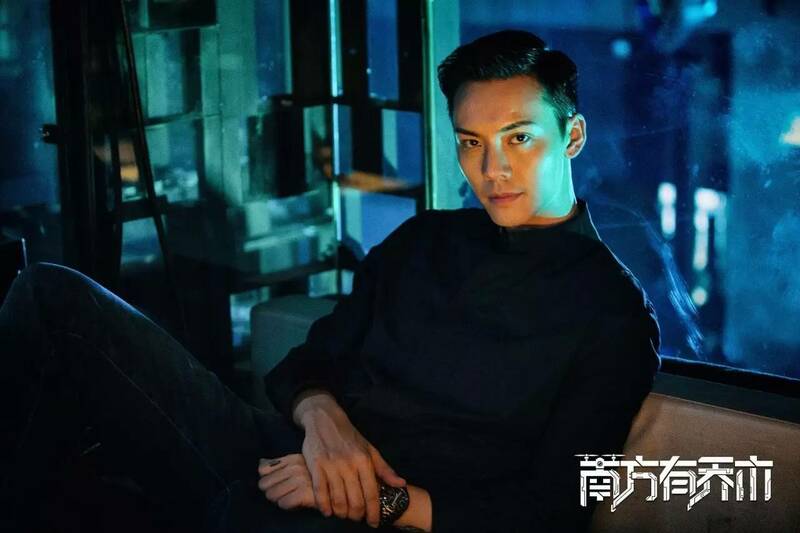 Probably not, but I’ve recently taken a liking to William Chan in action packed roles, and I know this drama will deliver on that aspect. Plus Bai Bai He is a good actress. The 6th daughter of the Sheng Household, Ming Lan (Zhao Li Ying) must deal with the inner turmoil of being the unfavoured daughter of a concubine. With only the protection of her grandmother, she hides her wits in hope that one day she can avenge her dead mother. Her encounters with Gu Ting Ye (Feng Shao Feng), the second deemed rather useless son of the Gu Household, has given him the chance to witness her intelligence. However, he is both a friend and a foe, having been her saviour, but also having mistreated her. The story follows Ming Lan from the hardships she deals with in her youth into her marriage life. The Story of Ming Lan is based on the novel penned by Guan Xin Se Luan. 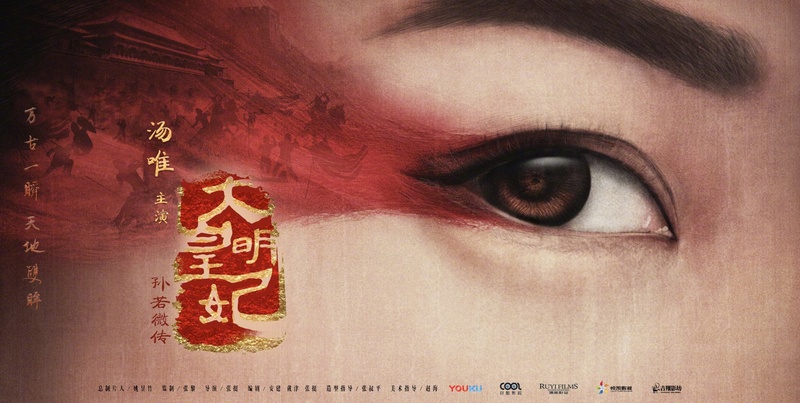 Produced by Hou Hong Liang, known for series such as Ode to Joy, Nirvana in Fire and The Disguiser, my impartially towards the cast, still has me giving the drama a chance to impress. Two people commit suicide together after being caught having an extra marital affair. Their spouses, Bai Kao Er (Liu Shi Shi), a free willed radio host and Geng Mo (Tong Da Wei), a gifted pianist with heart disease meets at their funeral. Determined to take revenge on each other, for the pain and suffering they have experienced, due to their previous spouses’ infidelity, they begin to fall in love. The return of Bai Kao Er’s domineering brother-in-law starts a melodramatic chaotic love triangle. Originally scheduled to air in 2017, this series, which completed filming in 2016 was pushed back due to legal disputes between Hunan and the production company. My trust in this series, lies entirely with the two leads. 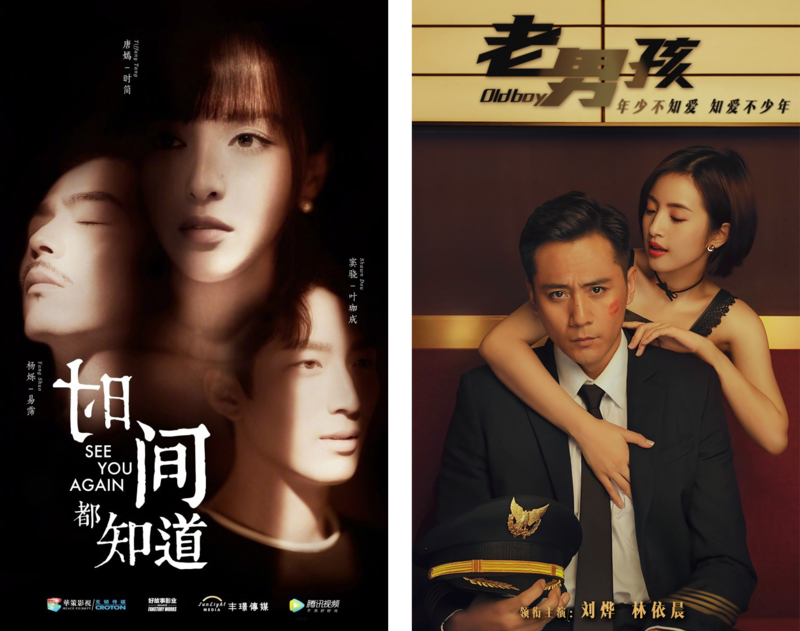 China produces a very large number of drama series a year, so these are just some of my top picks for the year. I know I’m sure to have missed many, so what series are you anticipating in 2018?